On arrival at Madurai, meet our representative and get transferred to the hotel. After check-in, relax for some time. 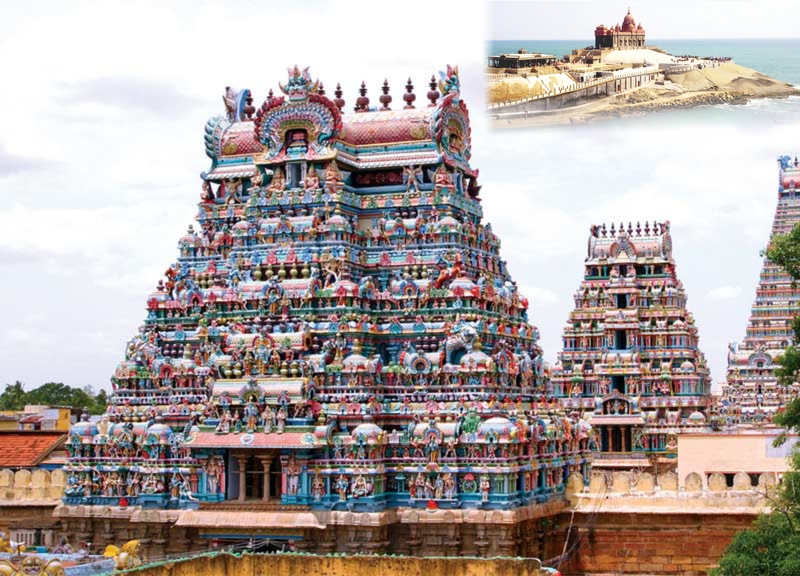 Later, visit the Meenakshi temple – one of the biggest temple complexes in India. It is an ancient centre of worship as well as an art gallery of vast proportions. Later on, have a delicious lunch on direct payment basis. Return to the hotel for a comfortable overnight stay. Kanyakumari was named so after goddess Parvathi, in one of her incarnations as Devi Kanya, did penance on one of the rocks in this beautiful land of greenery and blue waters to obtain the hand of Lord Shiva. Categories: South India, Cultural & Religious Packages, Family Holiday Packages, Senior Citizen Special Holidays, Top Indian Holiday Packages, Kerala, Tamil Nadu.